All-new Ford EcoSport invites drivers to go small and live big in a compact SUV that's packed with features and personality. All-new Ford EcoSport invites drivers to go small and live big in a compact SUV that’s packed with features and personality. Ford India’s combined domestic wholesales and exports in January grew to 22,535 vehicles from 14,259 vehicles in the same month last year. The company’s domestic wholesales stood at 9,450 vehicles in January, up from 7,995 vehicles in the same month last year. Exports in the past month grew to 13,253 vehicles from 6,264 vehicles in January 2017.
said Anurag Mehrotra, president & managing director, Ford India. Exports are continuing to grow at a steady pace as well with the addition of new global markets. 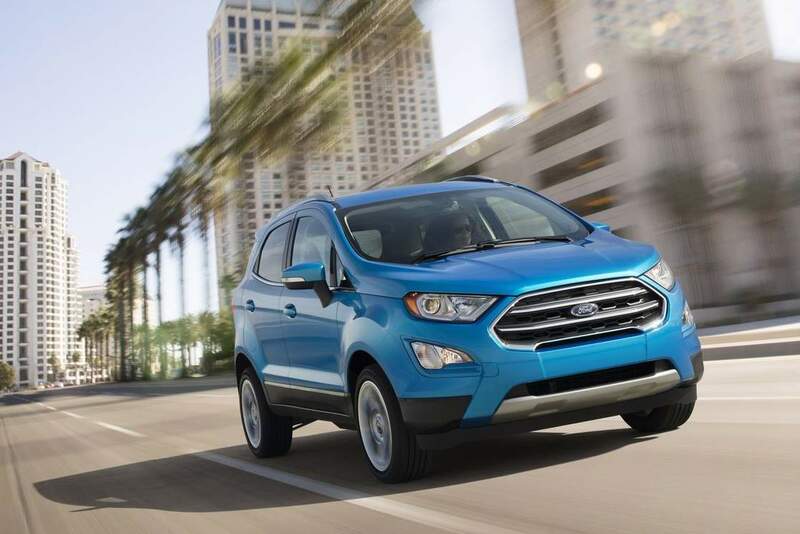 We recently started exporting the all-new EcoSport to North America. Continuing on its promise to bring products that Indian customers want and value, Ford unveiled its latest global product offering – The All-New Ford Freestyle, a cool, capable & connected, compact utility vehicle (CUV). The all-new product from Ford combines SUV-like robust design, benchmark performance, innovative technologies and outstanding fuel efficiency – for greater choice to consumers in India and markets around the world. Sales of the new compact utility vehicle will commence in the second quarter of 2018. In January, Ford also introduced the electric panoramic sunroof on Ford Endeavour 2.2 L variant with an aim to bolster value and feature offering for premium SUV lovers. Ford Endeavour is the most awarded vehicle in its segment and surpasses what consumers expect from a premium SUV. The introduction of electric panoramic sunroof on 2.2L variant further reinforces Ford’s commitment to meet and exceed customer expectations. Honda sales cross 5 million mark in record 10 months!